It offers a new dimension of batch and single item production, says the company. 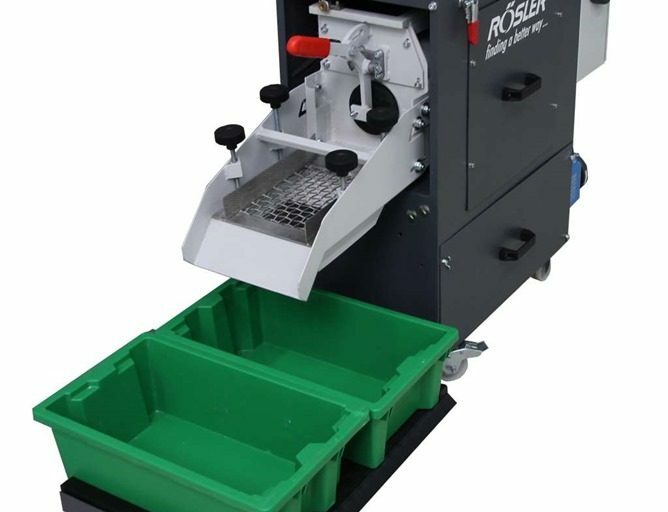 It is equipped with a 220V single-phase connection enabling it to be easily placed at the side of the manufacturing machine. The 3000 RPM motor is capable of offering short process times with a high grinding effect. The trough can be easily divided by fitting a series of polyurethane coated plates for the contact-free treatment of sensitive components. By using the dividers, parts of different sizes can be deburred, surface improved and even ball burnished in the specific compartments. The machine is offered with noise insulation and integrated long life water/compound supply of 18 litres. The mobile machine is capable of smoothing, radiusing and/or polishing metal and plastic components wherever and whenever needed. The company specialises in shot blasting and vibratory finishing, and offers surface finishing technology for the automotive, motorsport, aerospace, medical, food processing and jewellery industries.